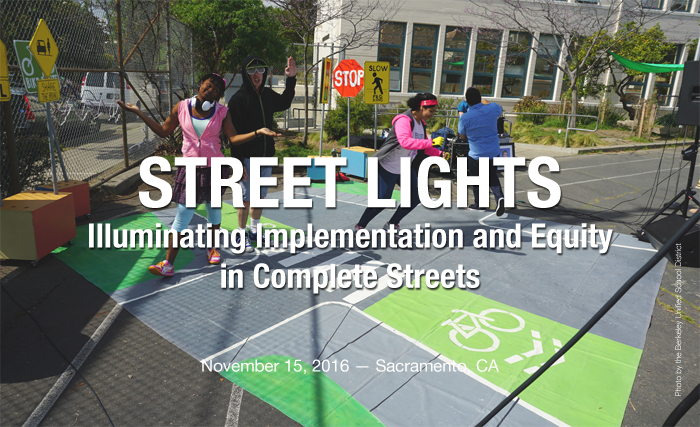 The Street Lights: Illuminating Implementation and Equity in Complete Streets conference is just around the corner. As we deep dive into all aspects of Complete Streets, will you be a part of the conversation? Register today to secure your place in the room. Interested in attending Street Lights 2016? The full agenda for the conference is now available. With Congress finally wrapping up their five-year transportation bill in late 2015, the focus is fully on states when it comes to policy and funding for transportation. Our transportation initiative, Transportation for America, is bringing its second Capital Ideas conference to Sacramento, CA this November. What’s the value of a great downtown? Joe Minicozzi can tell you exactly, in dollars and cents. One of the main reasons Smart Growth America advocates for compact, walkable urban development is because this approach can greatly benefit the finances of municipalities. Smart growth strategies can reduce infrastructure costs and ongoing expenses for cities while also boosting tax revenues. Smart Growth America’s own work has shown that, and we know this to be true too because of the outstanding work of others in the field like Joe Minicozzi, AICP and the principal at Urban3, LLC, a consultancy based out of Asheville, NC. We’re fans of their work and and cite it often as yet another illustration of how good smart growth can be for city finances. We want to take this opportunity to highlight some of the evidence Minicozzi has amassed over the years demonstrating smart growth’s fiscal benefits. Urban3 has been hired by cities and towns across the United States and Canada to analyze the financial implications of their development strategies. Most city planners and elected officials understand that a city brings in more tax revenue when people shop and eat out, Minicozzi explained in 2012, but they often underestimate just how much more valuable this economic activity is when it happens downtown rather than on a city’s outskirts. Guadalupe Street in Austin, TX. Austin had one of the highest-scoring policies of 2014. Which communities will be on the 2015 list? Photo courtesy of the City of Austin. More than 60 communities passed Complete Streets policies in 2015, and these policies are some of the strongest and most effective ever passed. Which policies stood out as the best? Find out on next month when Smart Growth America’s National Complete Streets Coalition unveils our annual ranking of the best Complete Streets policies in the nation. Notably this year, one community has scored a perfect 100 on their Complete Streets policy. In the near decade that we have been tracking policies, this is the first time a community has achieved a perfect score. Which community passed the perfect policy? Join us for the launch of this year’s rankings to find out. "Your order is out of stock"
Thank you so much for your recent order of a “Subdivision Christmas Village.” Unfortunately, this item is no longer in stock. We simply were not getting enough orders of this model to continue producing them. Most of our customers seem to prefer the “Walkable Downtown Christmas Village” collection. 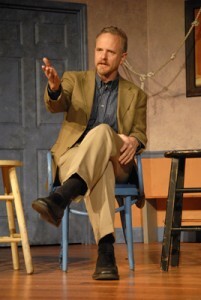 This post, crossposted from Transportation for America, is a personal farewell from our friend and colleague David Goldberg, who was the founding communications director for Smart Growth America in 2002 and helped get Transportation for America off the ground in 2008-2009 as communications director. Other than former Gov. Parris Glendening at SGA, David was the longest tenured SGA/T4A employee, helping to steer this small part of the larger movement for transportation reform and creating better places over the last thirteen years. We’ll miss him deeply, and wish him the best in his new endeavors. Here are few thoughts directly from David as he departs. –Ed. After 13 great years with Smart Growth America and Transportation for America, I am moving on to a new challenge. For two decades I worked on addressing the consequences of our 20th century efforts to re-engineer our human habitat. Now I’m joining a new group that is grappling with the after-effects of industrializing the American diet during that same period. The change is bittersweet. We’ve had a great ride since starting SGA in the early 2000s, bringing attention to the problems associated with out-of-control development patterns and helping to reshape policies, practices and even consumer preferences toward more walkable — and workable — neighborhoods and transportation networks. I think it was fitting that on my last day in the office with my D.C. colleagues, we released Core Values: Why American Companies are Moving Downtown, shepherded into existence by the incomparable Alex Dodds, the communications director for Smart Growth America. After all, it was when executives started moving their companies and families to the outskirts in the late 20th century that the country launched into hyper-sprawl; a reversal of that trend is significant, indeed. Coming soon: "The WalkUP Wake-Up Call: Michigan"
On June 23, LOCUS will unveil a new analysis of which walkable urban places—or “walkUPs”—are changing the real estate landscape in seven metropolitan areas in Michigan.